I wanted to show one of my works in clay to give an idea of what a piece looks before before it is cast in bronze. Of course, it can also be hollowed out and fired - this is then called "terra cotta". 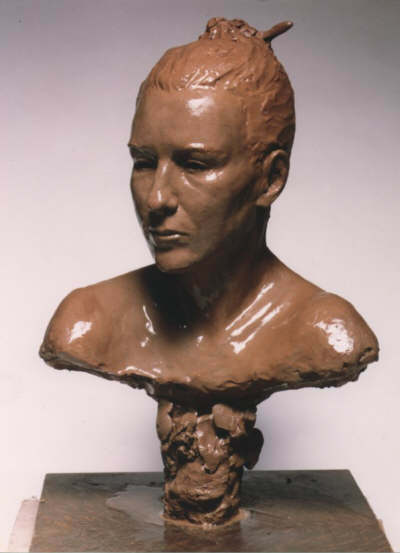 I worked on both Martin and his wife Manuela's sculptures in November 1997. 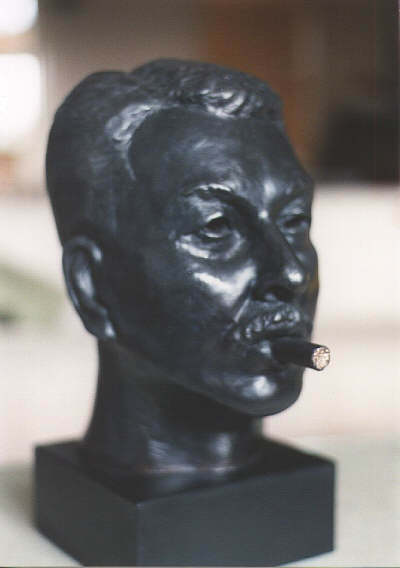 Smoking cigars is an integral part of Martin's life... it didn't seem a sculpture of him would be complete without one! Commission me today... 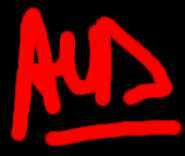 I'll be on my way as soon as we work out a mutually agreed upon date for the first sitting! 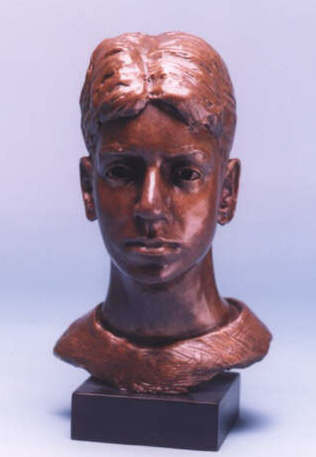 Prices for a lifesize portrait or bust on request- includes original artwork, finished lifesize bronze. Artwork prices will not include travel expenses (which may be minimal depending on where I am), base (can be slate, marble, wood, or bronze to suit the sculpture) or costs of shipping the bronze to you when cast. For Working methods, click here.